The new Saint brake has a lot to live up to. 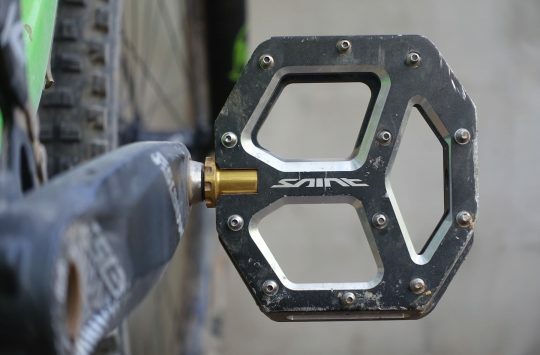 It has a lineage that is known for its sheer power and robustness, taking all the punishment that many downhill World Cup racers have thrown at it, and this new iteration didn’t disappoint – the Saint still stands out as one of the most powerful brakes out there. Built around a two-part caliper, with two pairs of pistons and banjo hose fitting for ease of routing, it’s not the sleekest unit on the market, particularly once you add in the additional bulk of the distinctive finned pads. Shimano has developed its Ice Technology one step further and has improved on the original finned pads, which are one of the many things that assist in this brake’s heat reduction enabling for more controlled braking on long downhills. 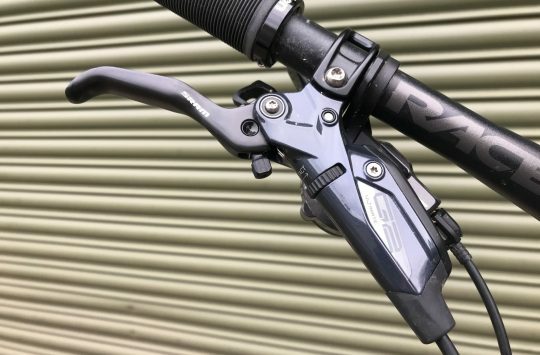 With its new, even shorter, Servo Wave lever pivot to improve feel and pad clearance, single-finger braking on the Saints is a delight – even on the steepest and most hair-raising of descents. 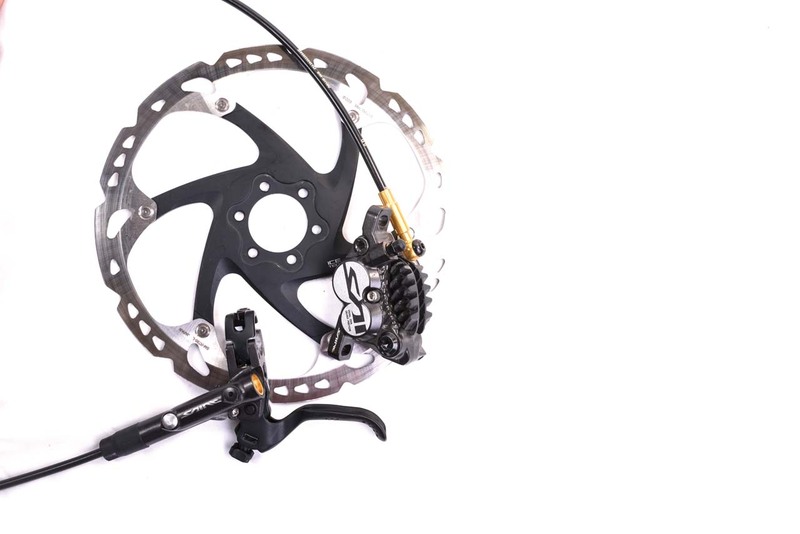 Shimano has carried on with its theme of easy maintenance here too, with the Saint being one of the easiest brakes on the market to bleed in my opinion. The adjustable free stroke seemed to be a bit unresponsive but having tool-less reach adjustment was really useful, especially when setting up or tweaking brakes on-the-fly. I tested the brakes with the new Ice Tech rotors (203mm front, 180mm rear) which, as well as adding to the ‘coolest looking’ bike out there, also help with heat reduction and proved to be a very solid and reliable set of disks. Overall the Saints were a great addition to my bike’s cockpit. 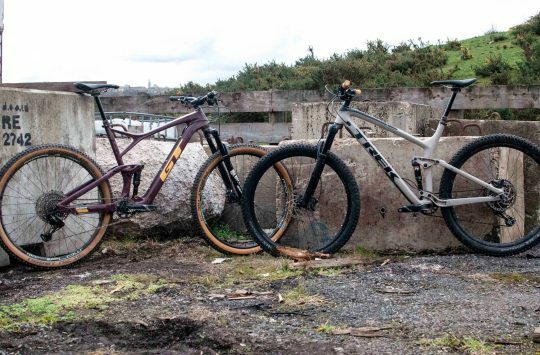 They’ll happily eat up the trail miles, from humble UK rides to the longest alpine descents without breaking the bank or weighing you down too much.